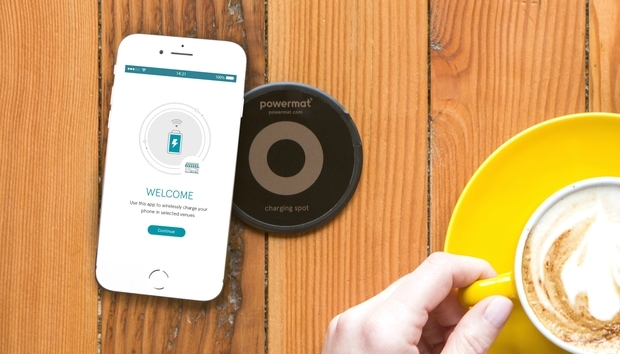 Powermat plans to release an upgrade to its wireless charging technology in January that will enable 15-watt power transfers through a 1.5-in. thick solid surface and provide support for new Apple iPhones and other Qi-enabled devices. 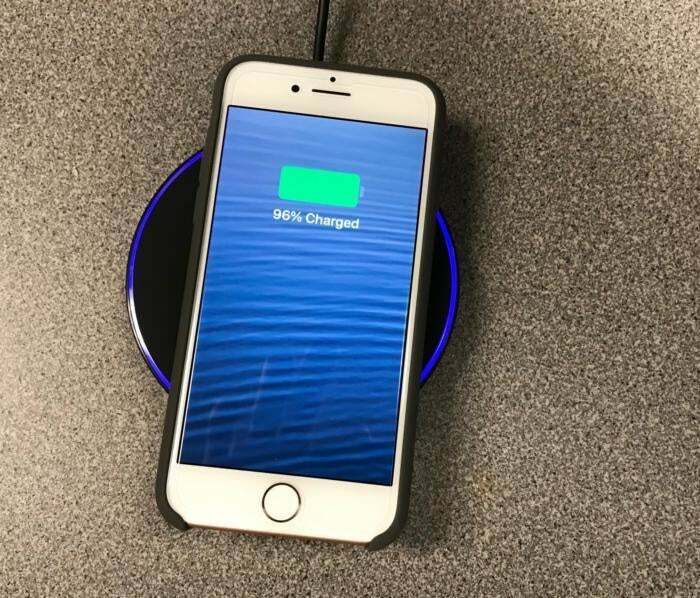 The wireless charging company also plans to release an under-tabletop product that allows users to simply place enabled mobile devices atop a desk, for example, to begin receiving a charge. By moving from 5 watts to 15 watts with the upcoming software upgrade, Powermat chargers will transfer power to a mobile device at the same rate as a traditional charging cable, according to Powermat CTO Itay Sherman. The upgrade, to be formally unveiled at CES in January, will also open the door for future software improvements, including power transfer rates of up to 65 watts; that would cover everything from tablets to laptops, Sherman said. Currently, only Dell's Latitude 7285 2-in-1 laptop features wireless charging based on technology from WiTricity. 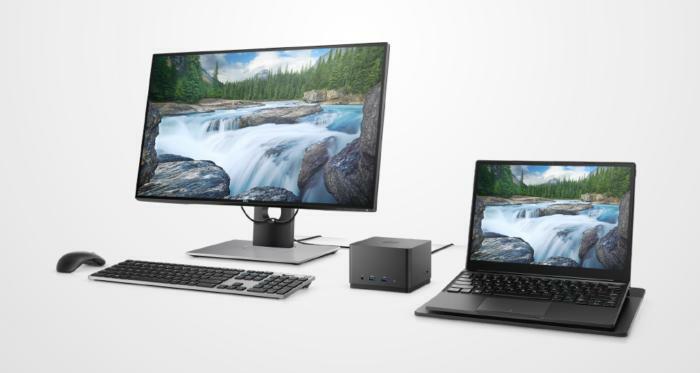 Dell's wireles keyboard (left) and Latitude 7285 2-in-1 (right) both offer wireless charging. The software upgrade is particularly significant in that it natively supports charging for Qi-enabled devices, such as the iPhone 8 and X series, Apple's first smartphones to get wireless charging. A software upgrade earlier this year did enable compatibility with the Qi specification, but it only offered 5W power transfer. Powermat's upcoming software upgrade will support 7.5W so called "fast charging" for the new iPhone line as well as most Android smart phones. 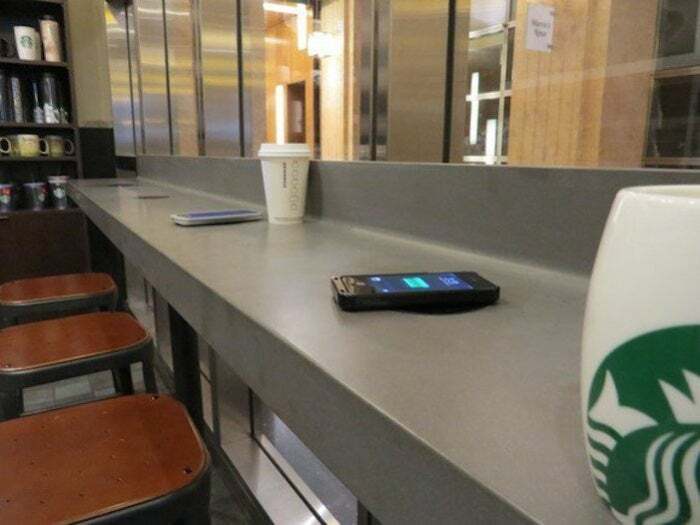 Starbucks has rolled out Powermat chargers in many locations throughout the U.S.
Powermat's inductive wireless charging is widely used today and has been adopted by Duracell, General Motors, Starbucks and AT&T. Among airports, coffee shops, malls, restaurants and arenas, Powermat claims to have 12,000 charging spots in the U.S. and Europe, and is being embedded in millions of cars and smartphones. While the technology is inductive as opposed to resonant, which allows for greater distances between a charger and enabled device, Powermat added a larger charging coil and a booster to its newest chargers. That allows for power transfers of up to 1.5 inches in distance. "With this charging technology there are no more wires on top of the desk or table," Sherman said. "In the past, there has been a reluctance on the part of enterprise customers to use wireless charging because of all the wires on the top side of a desk, but with this technology they no longer need to do that." The new charger can attach to the bottom of a desk or conference table with just two screws; a sticker atop the surface then directs users were to place their smart phones for charging. The charger's firmware also contains an algorithm that detects how far power needs to be projected to an enabled device. Pricing for the new charger has yet to be released. Powermat is part of the Airfuel Alliance consortium, which was founded when two of the three major wireless charging standard bodies — the Power Matters Alliance (PMA) and the Alliance for Wireless Power (A4WP)­ — merged in 2015. The Airfuel Alliance competes against the Wireless Power Consortium (WPC), a standards groups backing the Qi specification. An iPhone 8 atop a wireless charger from Insignia. Because the WPC's specification is open, Powermat's latest upgrade will offer compatibility, Sherman said. "Charging devices we have today are upgradable to support the WPC's [Qi] specification, but the new design will be compatible day one," Sherman said. "To be very honest, the difference between these two technologies have been minute. The whole market is consolidating now."